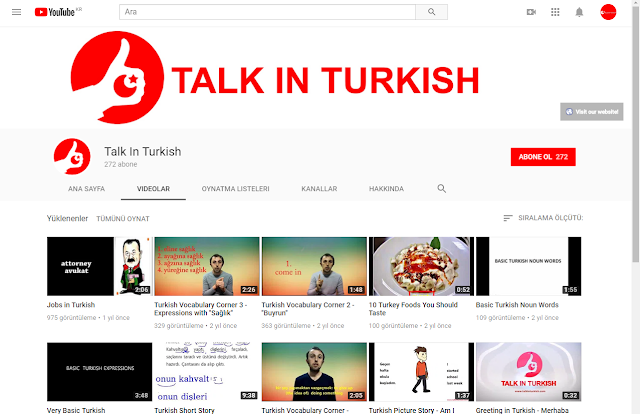 Merhaba arkadaşlar, Türkçe altyazılı Türkçe videolar serisinin ikincisi burda..
WE ARE BACK AFTER A LONG TIME! AWAIT FOR OUR NEW STUDIES! Don't forget to follow our studies on youtube also! Here is our youtube channel! I offer Turkish lessons in skype for learners in all levels. Basically, I ask $9 for one hour. That may change according to the level. So the price is negotiable. I offer lessons in all skills: writing, reading, speaking and listening.